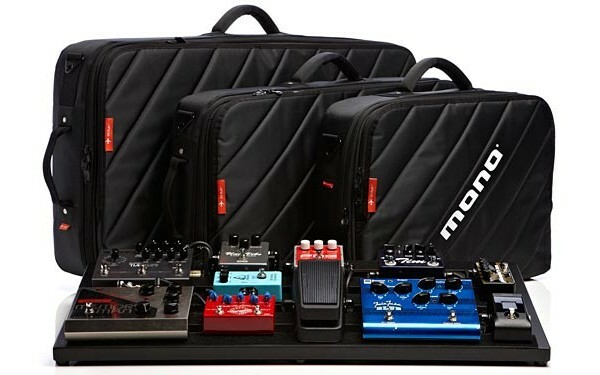 Bassists using pedalboards have a new option for keeping their effects in place with the Pedalboard Supplies Pedal-Links Effect Mounting System. Pedal-Links utilize the housing screws found on the bottom corners of most pedals to fasten them to your pedalboard. The fasteners are used by removing the housing screws, threading the screw through the Pedal-Link’s eyelet, then re-fastening it into the underside of the pedal. The second eyelet of the Pedal-Link is then screwed into your pedalboard. Pedal-links are compatible with most manufacturer’s effects pedals and work with pedal boards made of all materials. 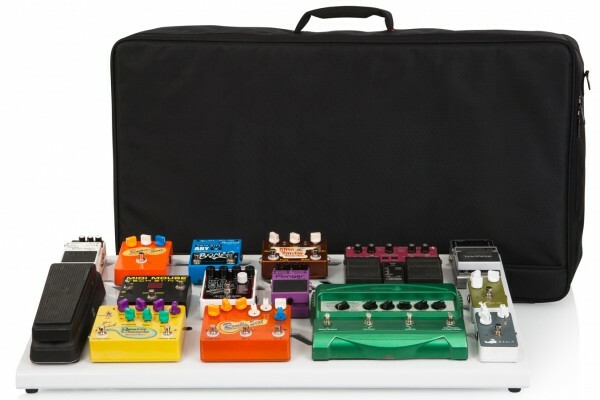 Each set of Pedal-Links includes 16 Pedal-Links and accompanying hardware, which the company says is enough to mount up to four pedals. They are available now for $10.50. Pedal-links looks like a good product. Too bad you couldn’t find a blonde for your video who could actually play a bass. I could buy wood screws and washers at the hardware store for cents. Why would I buy this? I bet if you had a bunch of bike chain connectors and some screws you could do the same thing. Interesting idea. Maybe a trip to my local bike shop is in order. not such a good idea. I used bike chain links in exactly this way. Stupid idea, if one cable stops working during a gig,how are you going to replace the cable if the pedals are screwed in place? stupid idea,seriously. There is a very good reason why 99% of people use velcro….so you can easily make changes and repairs.